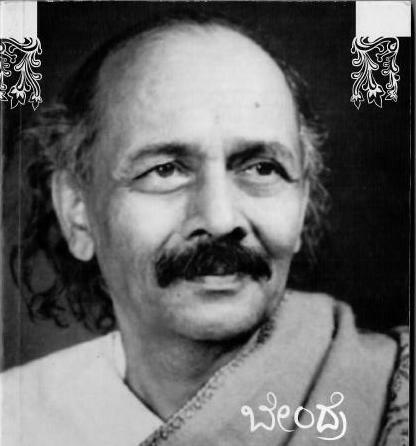 Da Ra Bendre shot to fame in 1929 at the Beḷagāvi Kannada Sahitya Sammelana when he read out his famous poem “ಹಕ್ಕಿ ಹಾರುತಿದೆ ನೋಡಿದಿರಾ” (The Bird’s On the Wing, Have You Seen It?) Enchanted by the bewitching (ಮರುಳುಗೊಳಿಸುವ) manner of his delivery and his charismatic stance, Māsti Venkatesha Iyengar – another giant of 20th-century Kannada literature and the father of the modern Kannada short story – was moved to call him a ಗಾರುಡಿಗ (precisely, a snake-charmer but more generally a sorcerer, an enchanter), a characterization that stuck to Bendre for the rest of his life. In this poem – itself titled “ಗಾರುಡಿಗ” – Bendre dwells upon this epithet, the associated imagery, and his own poetic powers. The original poem is a free verse ಅಷ್ಟಷಟ್ಪದಿ (which is the Kannada adaptation of the Petrarchan sonnet). Is this a delusion? A drunkenness? Poison? Reality — and all is pure and white as milk. On, keep on — across my palm is the Garuḍa line! Poem Details: From the collection “ಉಯ್ಯಾಲೆ,” first published in 1938. The very last poem in Da Ra Bendre’s first poetry collection, itself titled Gari (ಗರಿ) and first published in 1932. The feather here serves as a wonderful metaphor for a poem (each, at its finest, an exquisite and ethereal creation). Given the luminous poetry Shri Bendre was to create (and “strew”) over the next five decades, this poem seems nothing less than prophetic. The ever-moving bird of wind. The feathers of its flying wings. And rubs and sprays and spurts and whirls. Up to the heights from where they came. Pluck some hairs and comb some lines. They were put on a bird’s body. Dance your way up to the sky. That takes it far, and out of sight. For that is all the life they know. Poem Details: From the collection “ಗರಿ,” first published in 1932. Sanskrit poetics gives great significance to the rasika (ರಸಿಕ) or the sahrudaya (ಸಹೃದಯ), both words that mean ‘an appreciative spirit’, ‘(one) of the same heart.’ Steeped deeply in Hindu culture and poetics, Da Ra Bendre held similar beliefs and several of his poems speak directly to the rasika (ರಸಿಕ), even inviting him to take part (through his appreciative understanding) in the poem’s creation. In this poem, the pollen (ಪರಾಗ) is the poet (and his poem) who call earnestly on the bee (ಭೃಂಗ) to come and partake of their (poetic) juice. (The destructive-creative aspect of this exchange between the bee and the flower is captured by Bendre himself in another of his poems where he says: ಅಯ್ಯೊ ನೋವೆ! ಅಹಹ ಸಾವೆ! ವಿಫಲ ಸಫಲ ಜೀವಾ). Sweet, is an invitation necessary? Is hid the rasa of tomorrow’s fruit. Fór a new creation to show.